Almost every man has his own dream car, whether big, luxurious or can run at faster speed than any other regular car. They are also willing to do anything to take care of their favorite car including sending them to the workshop for inspection. 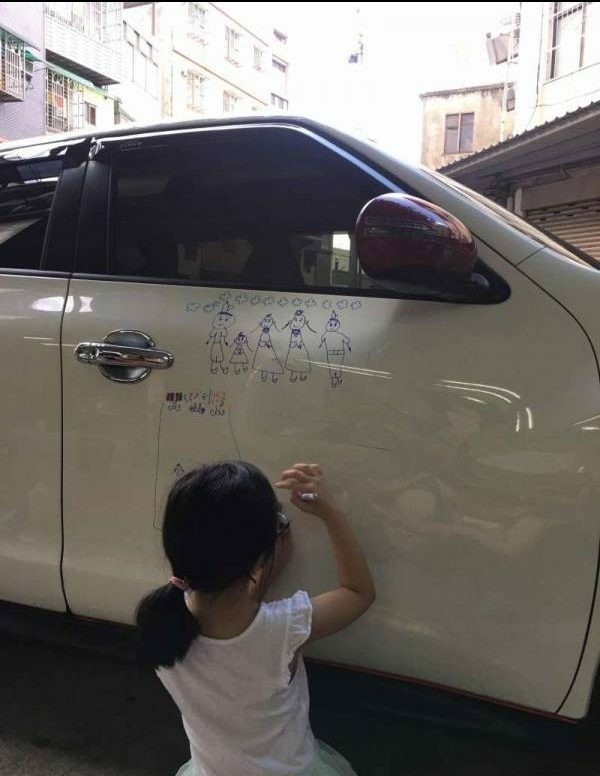 But, what a father in Taiwan does is unlike any other man. 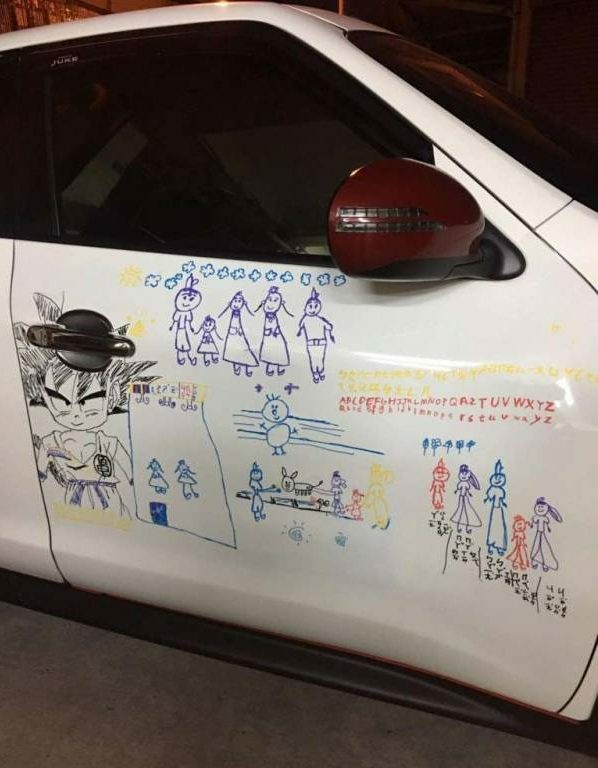 He has made the car as a ‘canvas’ for his daughter to paint! 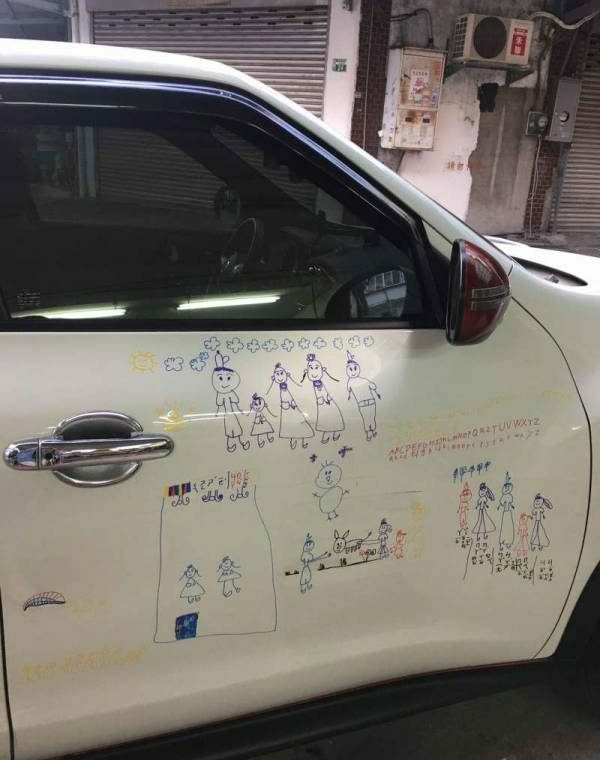 Mr Yang, has uploaded some of his favorite car pictures on Facebook, which is full of his daughter’s paintings on his car. 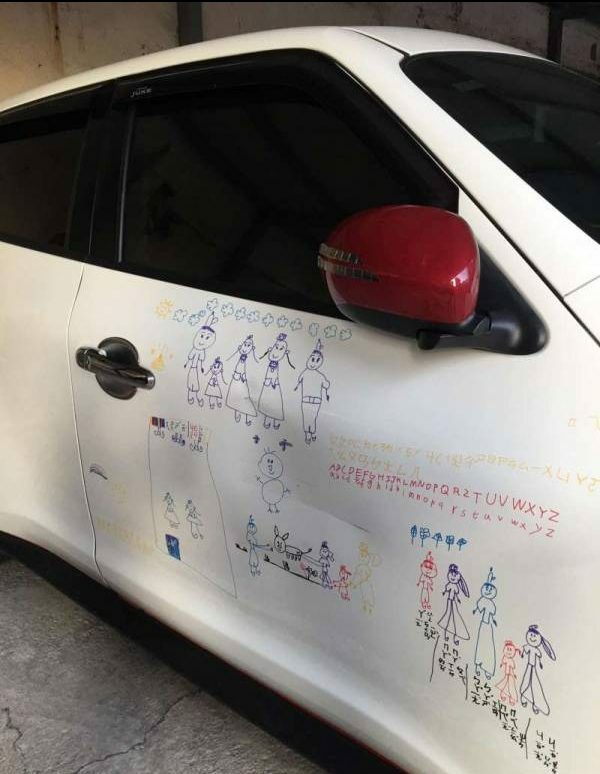 Perhaps for other parents, seeing their favorite cars being damaged like this will make them angry. 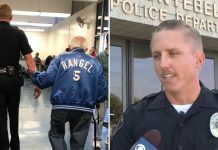 But not for Mr Yang! 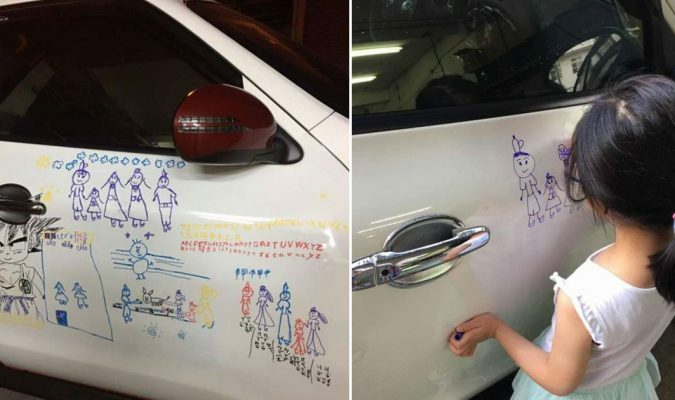 According to him, he will not delete the painting because he wants to make it as a sweet memory for his daughter when she grows up. 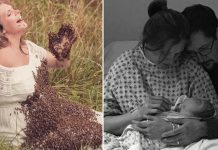 His daughter has painted the picture of the family, with the huge cloud above. In the picture she also explained about their family. She writes the one on the left is his grandfather who died. 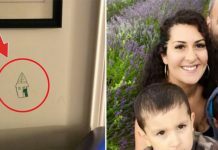 The picture clearly has its own meaning for the family. 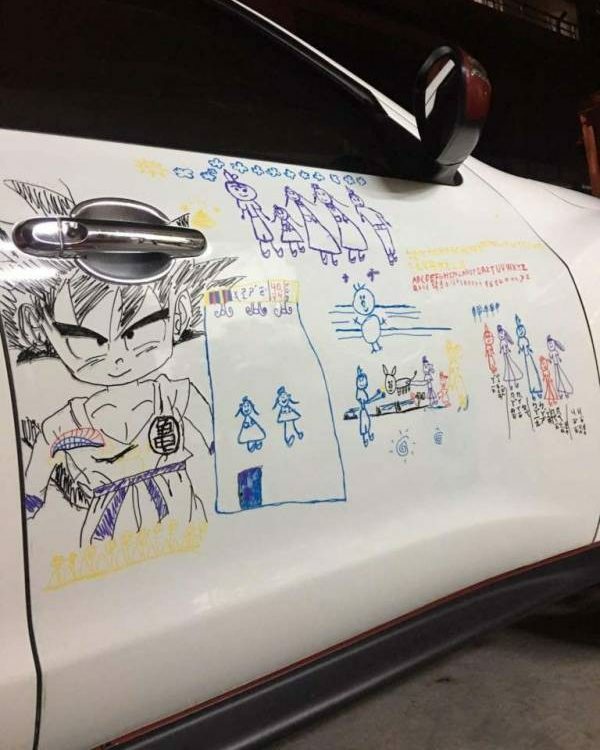 After a successful first painting, she then painted a Dragon Ball character. 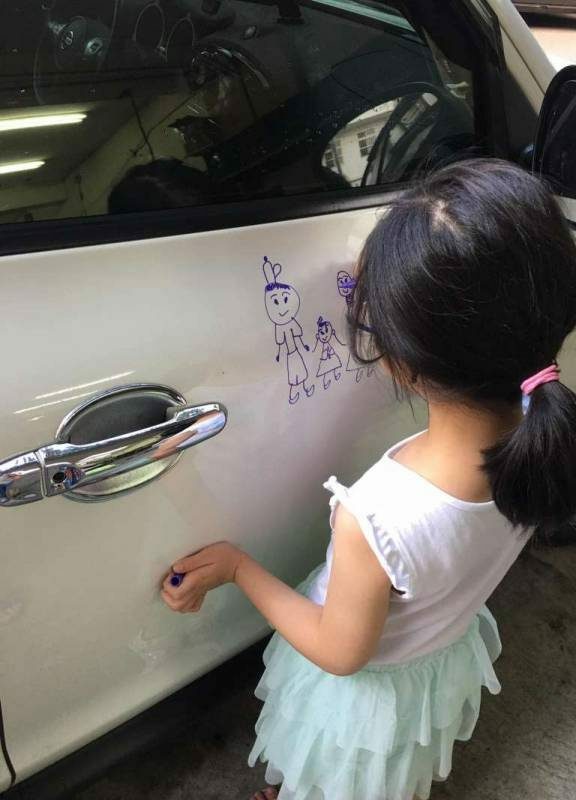 The technique of painting is also different than before, there is good progress of her skill! 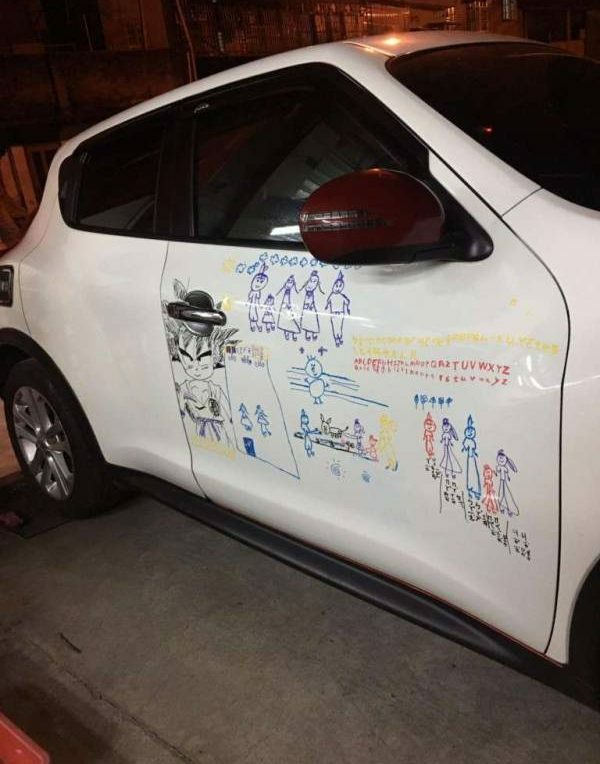 Seeing so many pictures depicted on his car, Mr Yang promised that he would always ‘take care’ of the picture and would not wash off the sketches.